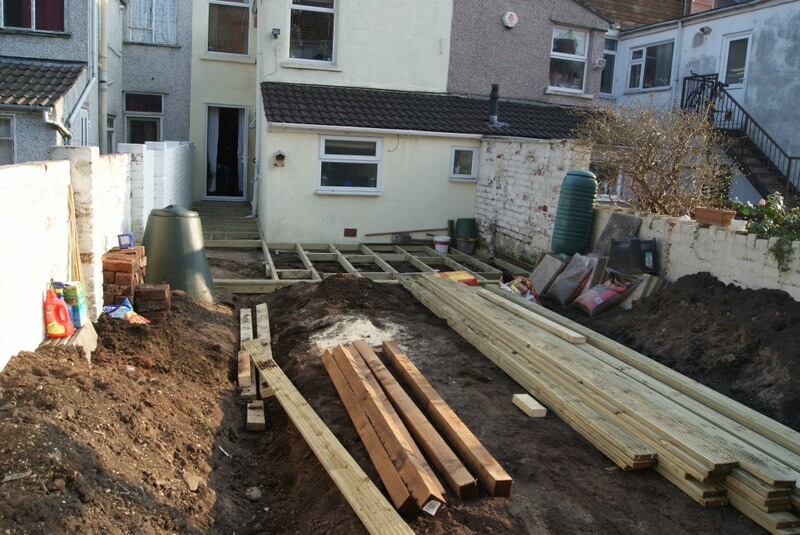 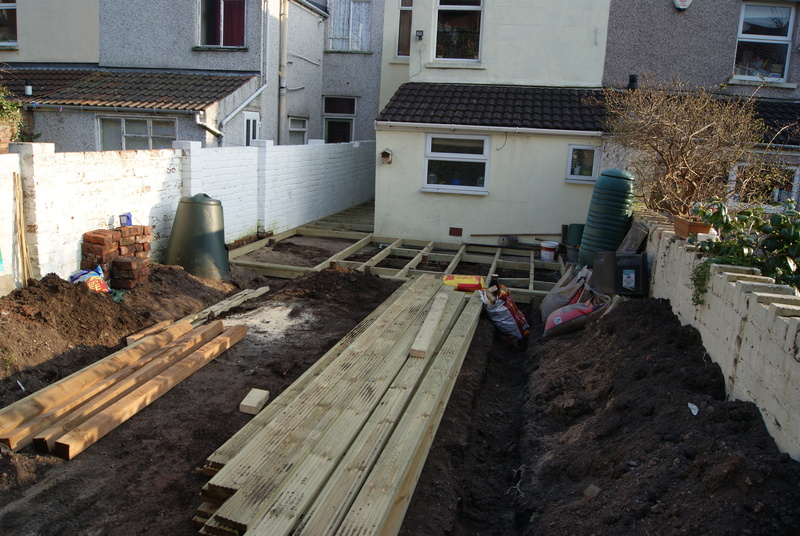 Day 3 saw the building of the frame for the decking. 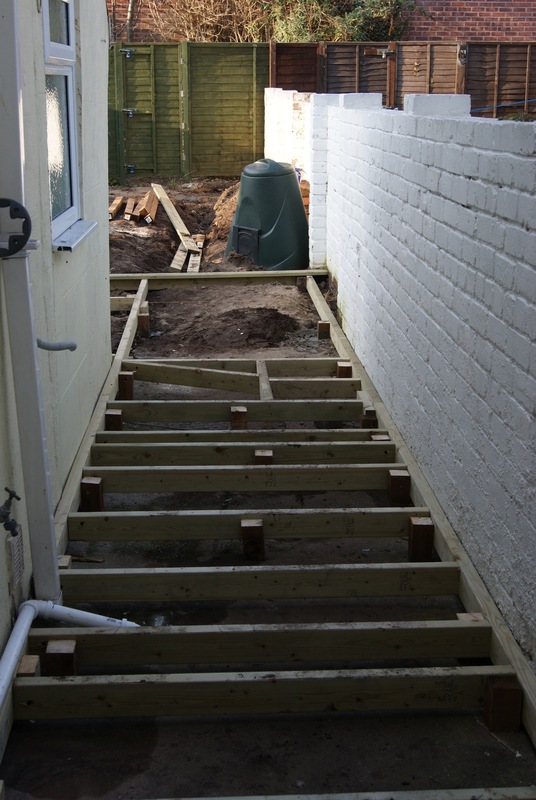 Including weaving around pipes, leaving access to drain covers, and navigating the undulating pathway from the back door. The neighbourhood cats will have a lovely time on their new obstacle course. This entry was posted in gardening, house and tagged building, garden on 21 March 2012 by fak.